I first met April Singer Straten a few years ago through one of my bff’s at a Coterie show while the founder, designer and creative force behind Rufus was pregnant with either the first or second of her now three children. She was absolutely adorable and over the years I continued to have the opportunity to run into her as I was walking or working various trade shows. I finally got the chance to see her highly-detailed, wonderfully-executed woven shirt collection at MRket a few seasons ago and then again when she showed for the first time at ENK this past July. With Rufus, her apparel business that incorporates both men’s and women’s apparel, including a three part men’s wear shirt collection, April gives guys top options. Not bad for schmattas, as they say in our biz! April is now Mrs. Muse — yes, she not only married said boyfriend, but it’s his middle name that eponymously became the collection’s moniker. They have three young children and April admits that she is continually inspired by her husband’s personal style. Please read on to see how his style initially affected her and all about this special lady on FashionWhirled’s Friday:5ive today. 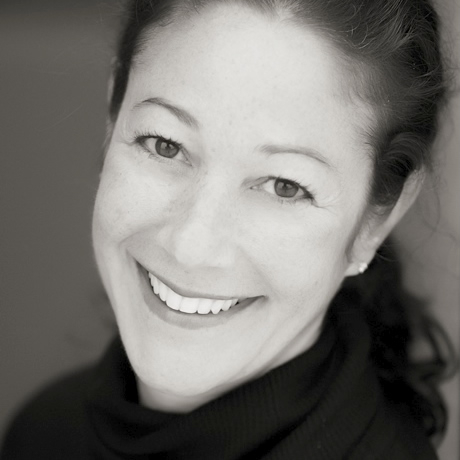 FashionWhirled: What role does fashion play in your life for you personally and as a designer? 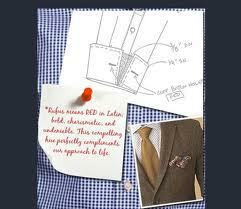 How does your personal style inspire or affect your shirt designs for Rufus? April Singer Straten, Rufus Shirts: I am inspired and amazed by how people wear their clothes. Personal style is something that is innate and unique. I love watching my three year old daughter put an outfit together. She has very specific likes and ideas. For me, I like to keep things simple with one little surprise which could be a splash of color or a piece of jewelry or a bag. That is how I look at Rufus. 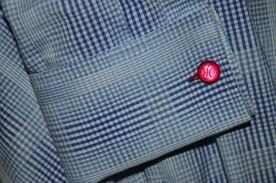 We are making shirts with a great fit and luxurious fabric. We add one little detail that makes it special and that is what we are all about. FW: Is red your favorite color?! Why did you name the collection Rufus, which means “red” in Latin? Do you think shirts can change the world?! How and why? AS: I do love red! It’s strong. It’s bold. The line pays homage to my husband who’s a red head and was nicknamed Rufus as a child. I think shirts are a large part of the world but won’t necessarily change the world. My goal is to try to change the world within the shirt world. Our shirts are classic yet eclectic. Our distinctive approach to the mixing of colors, fabrications and patterns, coupled with our trademark fit, are the recognizable features that have become uniquely Rufus. FW: Who is your muse and how does she/he affect the choices you make for your wardrobe or any style decision you make? AS: My husband is my muse. He wore pants in that yellow/brown workwear color with a sweater vest and a French cuff shirt on our first date. I thought mixing workwear with a dress shirt was bold. Although he is not really a fashion guy, he taught me how to mix ideas and simply not to take it all too seriously. FW: If you could have any notable individual — dead or alive — wear Rufus, who would that be and why? Which shirt(s) would you dress them in and why? How would you try to change their style? AS: I would have loved to dress JFK Jr. in Rufus. He is the definition of our brand; classic yet eclectic. 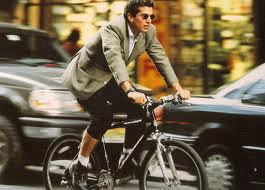 He could have worn the mainline with a suit or our casual shirts with shorts while he biked around town. FW: What words of wisdom do you live by, or strive to live by? You have a family, 3 children, I think…what legacy, fashion or otherwise, as a noted fashion designer and as a human being existing in our world today, do you hope to leave them? AS: “Pay attention to the details.” People usually concentrate on the big picture and lose site of the small details. It’s the chocolate on the pillow, a thank you note or red stitching on a shirt cuff that can make all the difference. This entry was posted in Friday:5ive, men's wear, Nautica, Ralph Lauren, Rufus, women's wear by kim cihlar. Bookmark the permalink.